Every year come February, my boys start itching to get back outside. Although still cold and gray, the days are starting to get longer and I hear more murmurs about summer and baseball and swimming lessons. It's not that I'm one of those "keep them under wing all winter" types. I would love for them to go outside and burn off some energy, tumbling into the house with red cheeks and noses, begging for hot chocolate. But the problem is that neither Cael nor Graham have any tolerance for the Iowa winters. Within ten minutes of bundling up to make a snowman or go sledding, they are winded, frozen, and ready for a date with the sofa and a thick blanket. So this morning, when we were dressed and ready for school a bit early, I was happily surprised when the boys asked to play on the deck for a few minutes before piling into the van. I'd seen the longing look in Graham's eye as he'd commented about the sparkly frost clinging to the wood, so I warned them not to slip on the stairs and sent them out to explore with the promise of a warm car waiting to receive them. "I miss summer. Or spring or fall. I want to play outside," Graham confirmed my suspicions as we drive to school. When I returned home I let the dog out and looked out the window, realizing that my kids aren't the only ones feeling nostalgic for warmer weather. Even Oscar has taken to pooping on the deck to avoid added minutes with his paws in the snow. 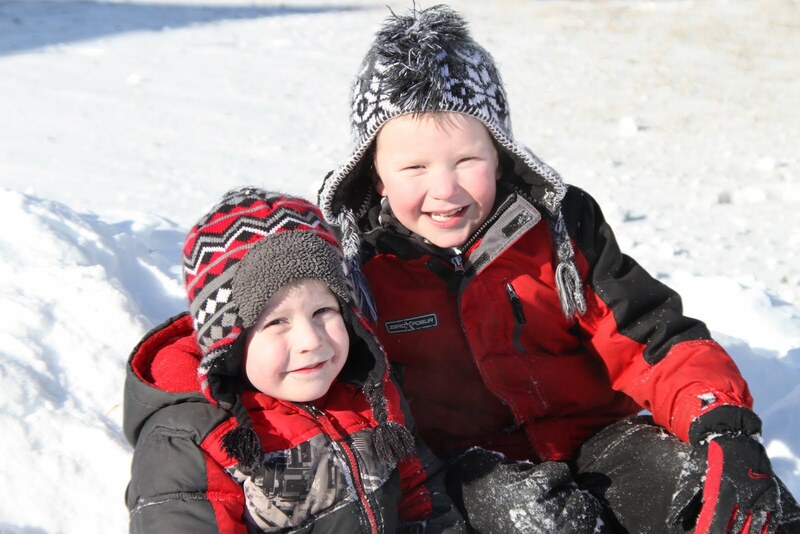 Considering everyone's aversion to winter, I was glad that Cael and Graham were able to enjoy the outdoors this morning, even if it was just a few brief moments. And then I realized that a few minutes was all they needed. I guess winter has its charms after all.